This is the first beer I’ve had this week, so I’m really looking forward to it. Happy Friday, errybuddy. Cheers, sláinte, proost, santé and all that good stuff. While bottling a batch of my UBN Big Dipper Belgian-style double IPA (UBN BDIPA) last weekend at Barleycorn’s Craft Brew in Natick, Mass., I spotted this amusing “Beeriodic Table” poster. 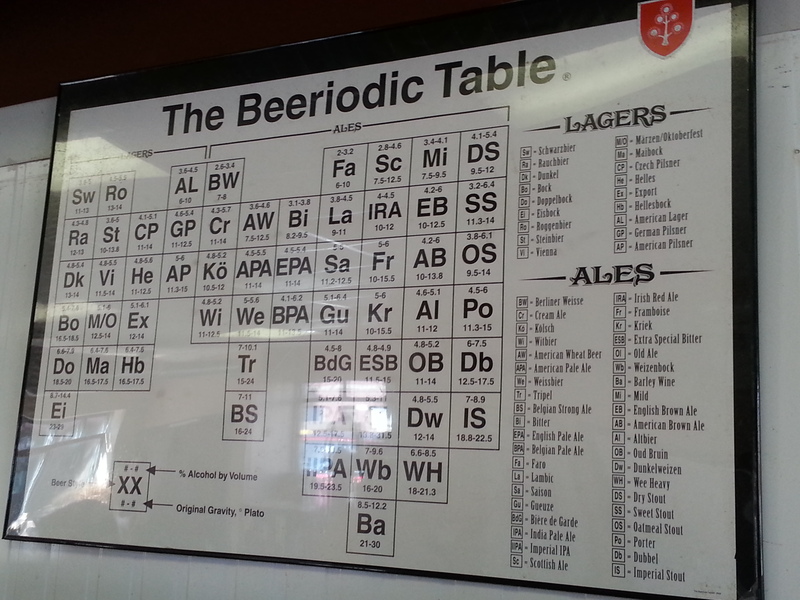 It’s a beery take on the scientific Periodic Table of Elements. 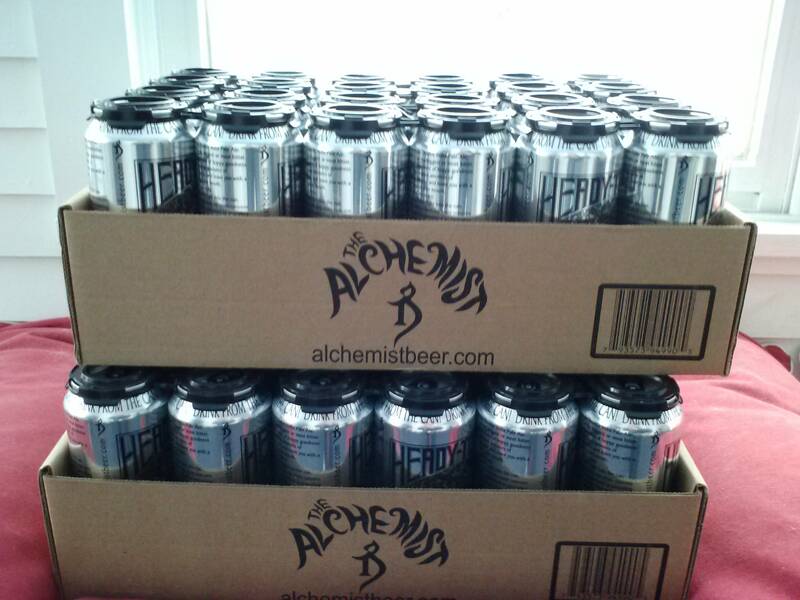 “This authentic marriage of general chemistry and zymurgy (brewing) is intended to be delightfully entertaining. Even if you aren’t a science or beer drinking type, you might still find the poster intriguing. It serves as a classy addition to most any wall, and it could quite possibly be the perfect gift idea! 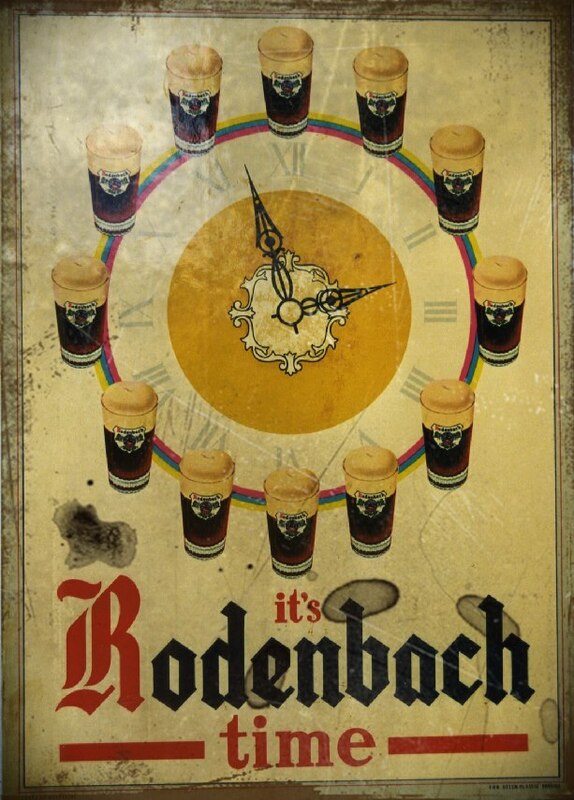 A Beeriodic Table poster could make a nice addition to man cave, barroom or other drinking spot. Something tells me my girl wouldn’t appreciate it if purchased one and hung it in our tiny apartment though. You may or may not have heard of Dogfish Head Craft Brewery‘s fresh-hopping contraption called Randall the Enamel Animal. The gadget basically lets you stream beer through a variety of different ingredients, including hops, spices, etc., to impart the flavors of those ingredients in the beer. Sounds interesting, right? Unfortunately, the full-size Randall the Enamel Animal is rather pricey at almost $300, and it’s really designed for commercial use in bars or other drinking establishments. 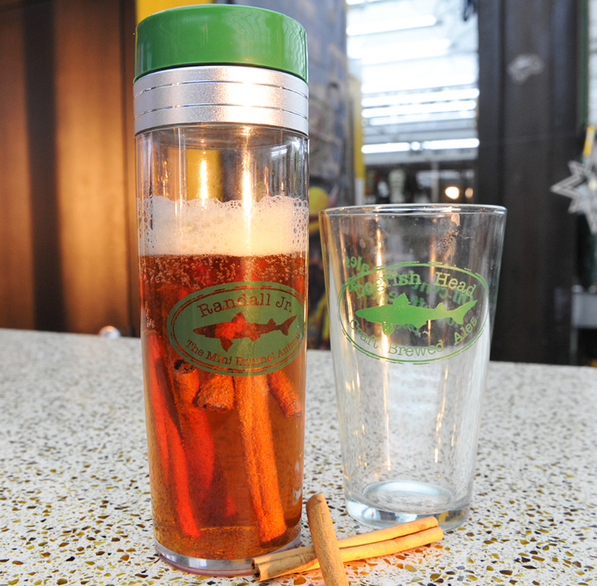 Dogfish also offers a Randall Jr. “Mini Enamel Animal” that lets individuals “randalize” their beers. Randall Jr. isn’t a new product, but it has been sold out in Dogfish’s online store for quite some time. Its latest release was also supposed to be in February, but the new Randall Jrs. just went on sale this week. 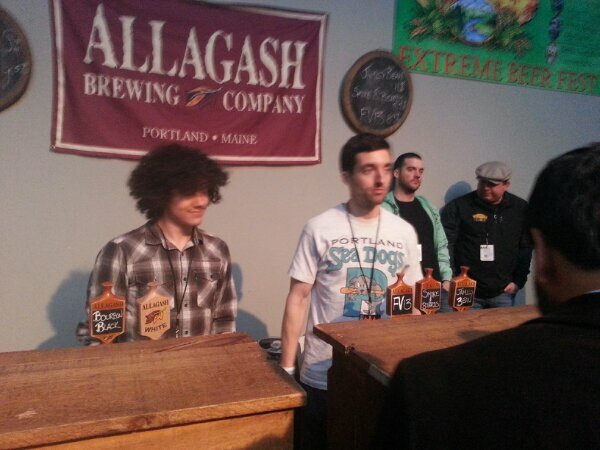 Randall Jr. is basically a thick plastic container that holds 16 ounces of brew. You fit a filtering screen on top of it once you add your beer and other ingredients, put another cap on to maintain carbonation, let the beer chill for a while and then pour the filtered beer into a drinking glass. You could certainly build your own Randall Jr. using a large glass or other container and a filter, but the Dogfish unit probably looks cooler than what you’ll come up with. And it’s not too pricey at $20. “Our new Mini Enamel Animal will give you the power for off-centered infusions. Just twist off the top; add hops, spices, fruit or whatnot, fill with off-centered ale and savor the fruits of your creativity. 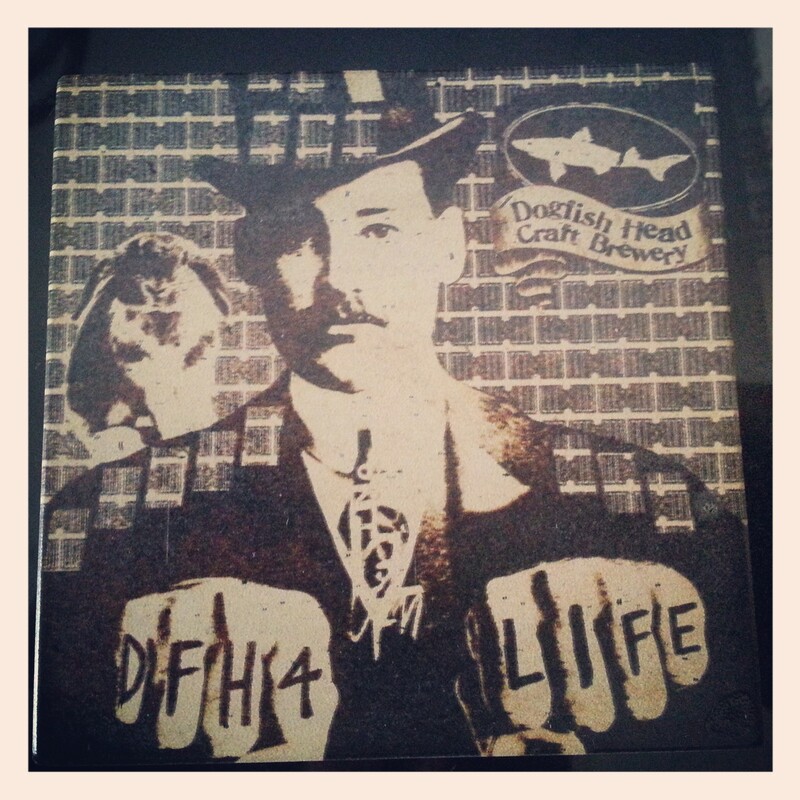 And here’s a video infomercial from Dogfish about Randall Jr. 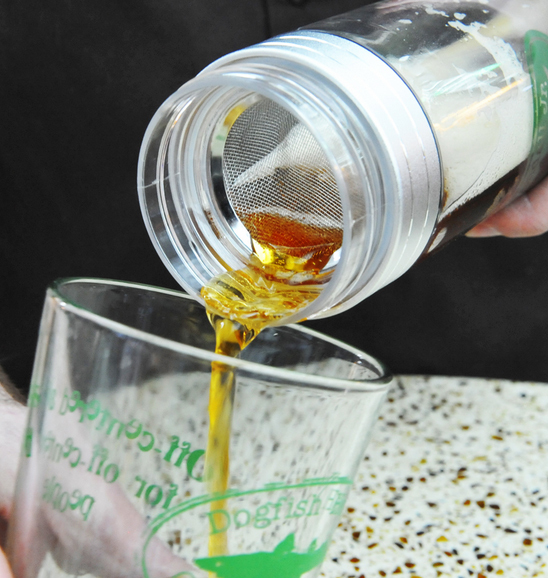 Learn more about Randall Jr. or order one of your own via Dogfish’s online store. I have no idea who Ms. Goldstein is, and Google wasn’t particularly helpful in finding out. But I like her style. I don’t totally agree with this quote, and I can think of a few other chemical and pharmaceutical fixes for ragged nerves that may top beer. 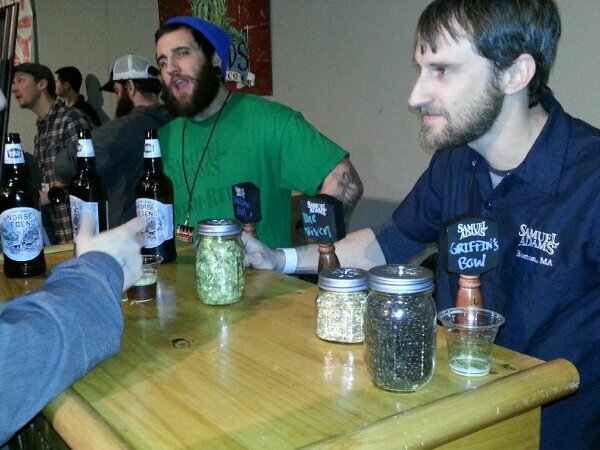 But personally, I prefer the beer—especially if it’s Heady Topper. On a snowy Tuesday evening after a long day of alternating between shoveling and sitting in front of a computer monitor, I really need a beer to calm my nerves. Or 24 of them. 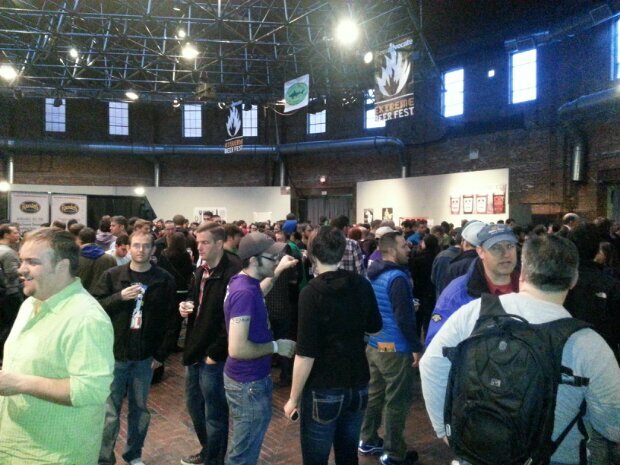 I just walked through the doors of Boston’s Cyclorama, the location of the 2013 Extreme Beer Fest (EBF), presented by Beer Advocate and Dogfish Head Craft Brewery. 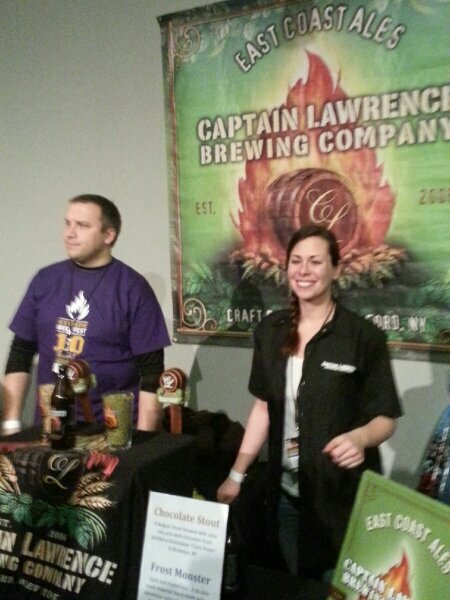 EBF was supposed to be held in Boston a month ago, but a major snow storm hit the Northeast and crippled the city for days, leading to the cancellation and eventual rescheduling of the festival. 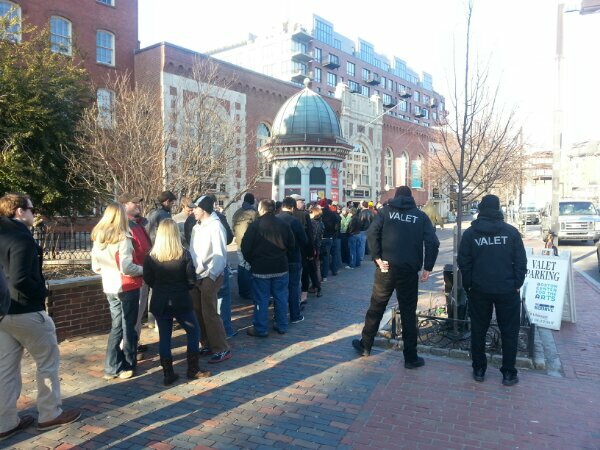 Mother Nature can’t keep us beer nerds down, and we’re here today to try as many wacky, wild and challenging new beers as we can in three and a half hours. 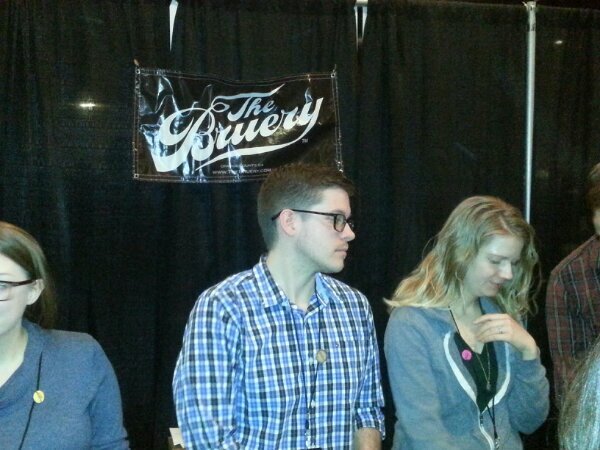 I don’t think I’ll have too much more time to write, but I thought I’d share some scenes from this year’s EBF. 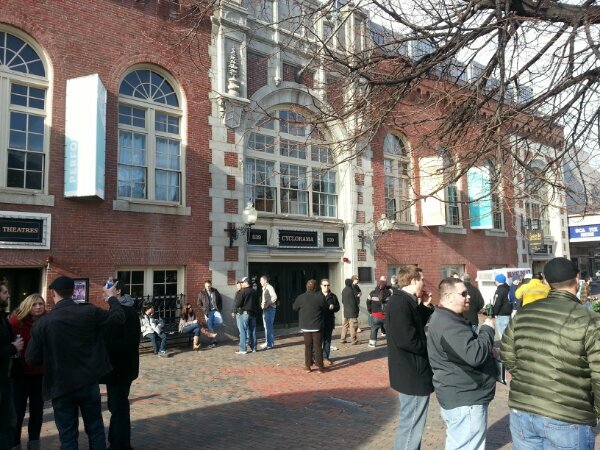 I’ll be updating this post throughout the event with images so check back often if you want to see what I see. 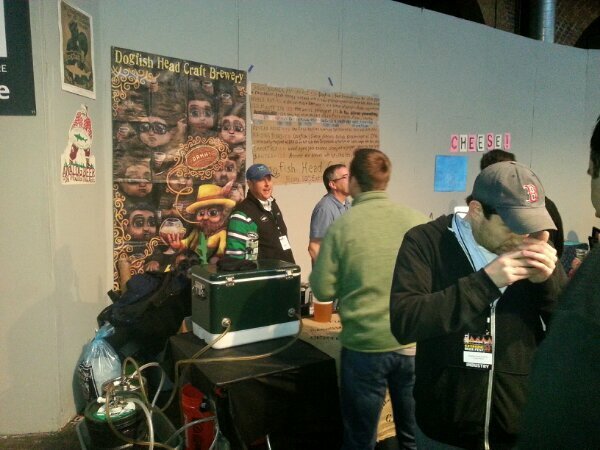 Allagash stand at EBF. Fantastic sour called FV13. While doing some research online, trying to dig up some details on this year’s Zwanze beer and the Zwanze Day 2013 date—to no avail—I found Cantillon’s new online store. 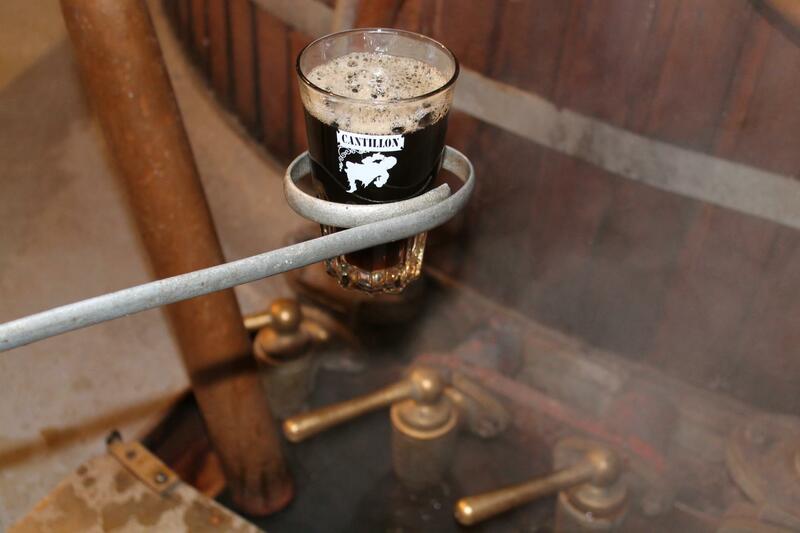 In the past, if you wanted a Cantillon t-shirt or hoodie you had to visit the brewery in Belgium, attend some special event, like Zwanze Day, at which the shirts were being sold or find some random online retailer. 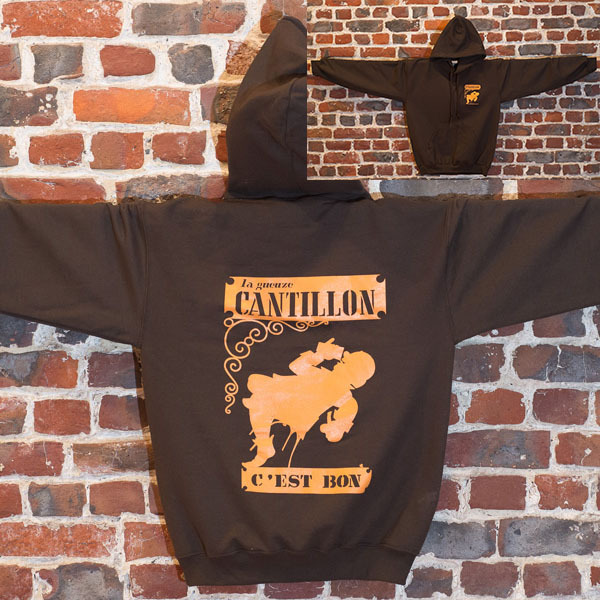 Now you can purchase Cantillon t-shirts and sweatshirts online directly from Cantillon. 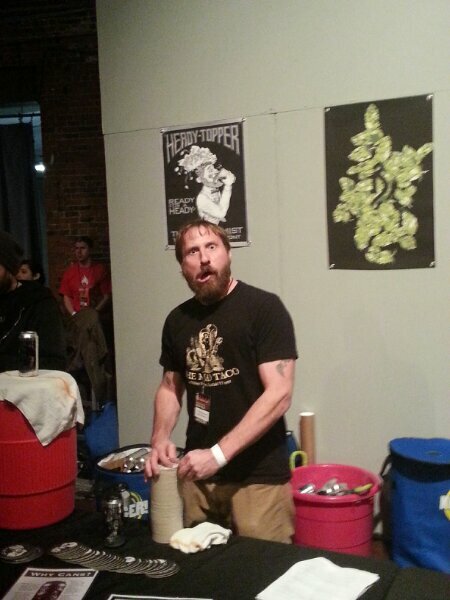 The Cantillon tees and hoodies aren’t cheap though, and shipping to the United States is also pricey. To send a single $52.00 hooded sweatshirt from Cantillon to Boston, where I live, you need to pay roughly $32.50 in shipping fees. That’s a $85 hoodie. But $85 is still cheaper than a trip to Belgium and the Cantillon brewery. 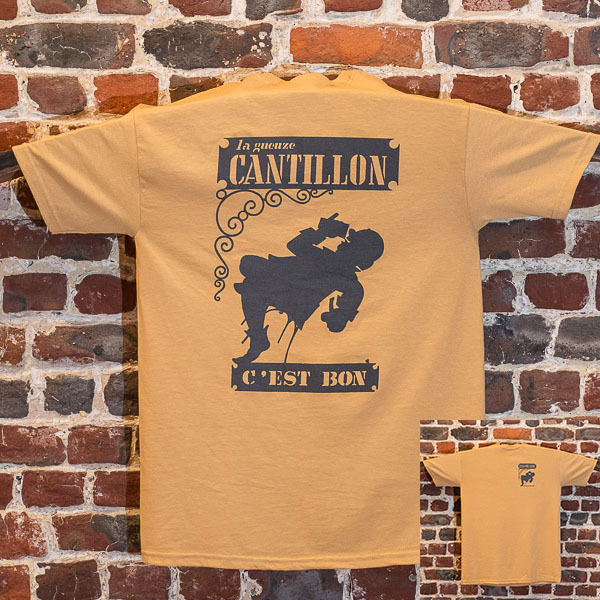 And one of these shirts would make a great gift for a Cantillon lover. 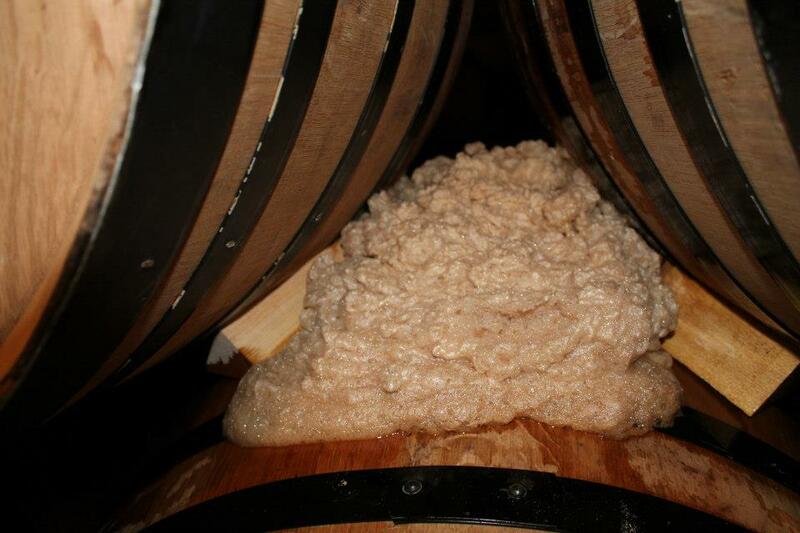 Unfortunately, the Cantillon Web shop is only selling t-shirts and sweatshirts at this point. It would be nice to see them offer glassware and other branded goodies in the future. 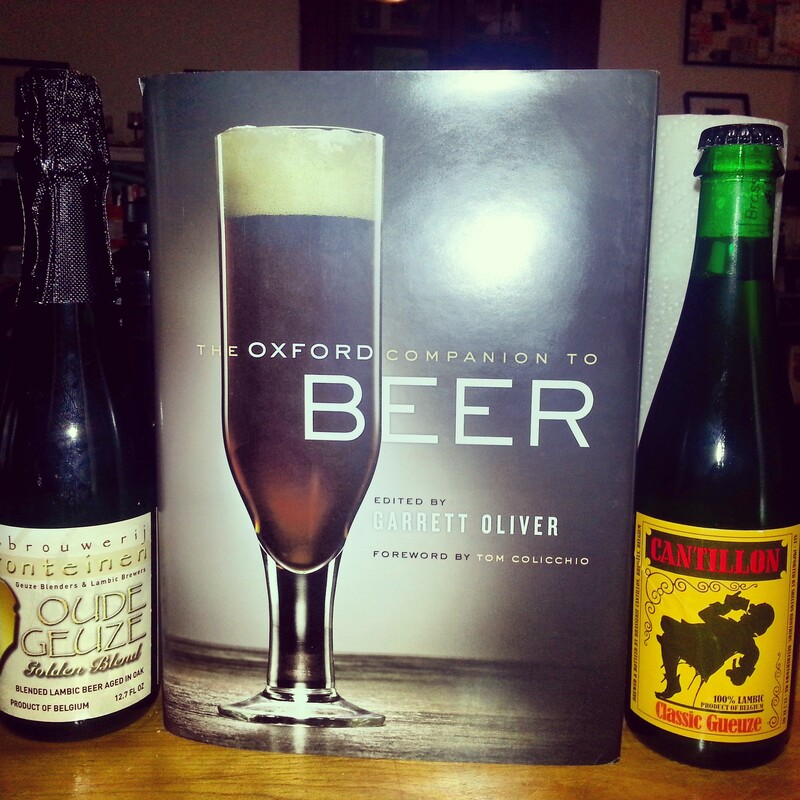 Visit Cantillon’s online store for more details. Beers, Breweries, Dogfish Head, Glassware, Hops, IPAs, Opinion, Sierra Nevada Brewing Co.
I’ve been drinking beer from Dogfish Head Craft Brewery for nearly a decade. I remember the first bottle of Dogfish 90 Minute IPA I drank at an Irish pub called the Squealing Pig in Boston’s Mission Hill neighborhood. It blew me away and sparked a love affair with hops and IPA. I tweeted about the incident, and Dogfish quickly responded, asking me to send details to its customer support account. I did so, received an email response within 24 hours and a new Dogfish IPA glass in just a few days. Dogfish didn’t have to send a new glass; I honestly didn’t expect to get another one for free. Glasses break, right? 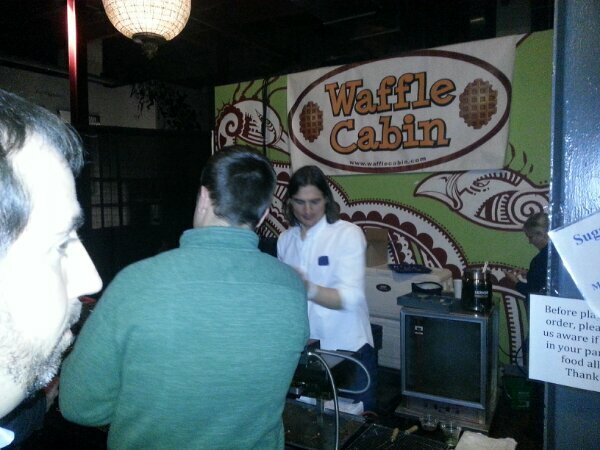 Especially when people are drinking alcohol out of them. That said, I also probably would not have purchased another Spiegelau IPA glass. I collect beer glasses. I own other Spiegelau glasses. 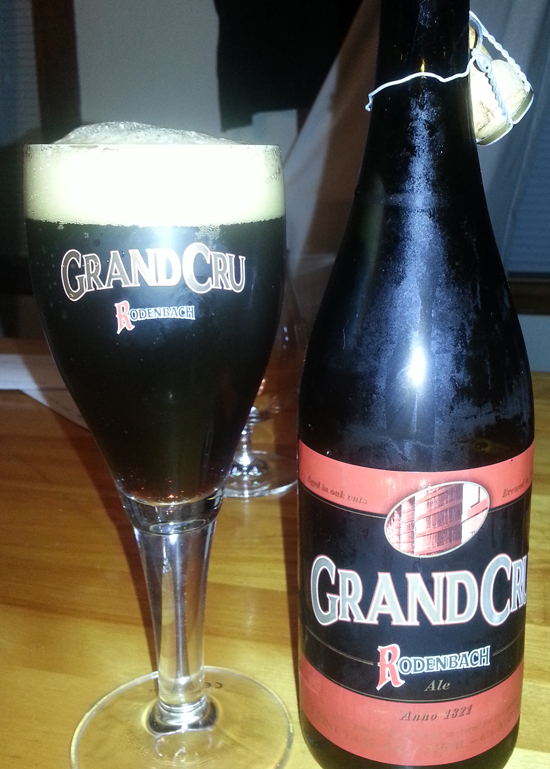 I have other Dogfish glasses, and I have never had one break while simply washing it, without bumping it or anything. This makes me question the viability of the design of the IPA glass. Its features work just as Dogfish, its partner in design Sierra Nevada and Spiegelau intended them to. 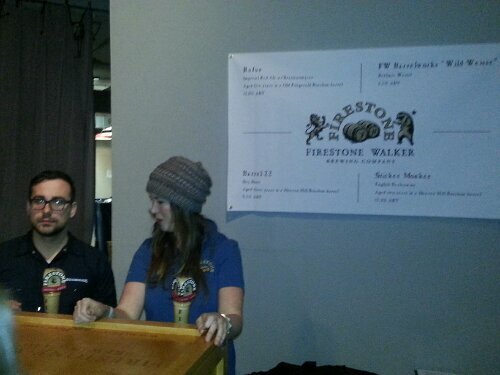 It provides an quality IPA drinking experience. But the glass is so thin along its rim that I bet I won’t be the only person to see their IPA glass break for no good reason.